A man who identifies himself as Tyler started the account, PreachersNSneakers two weeks ago. In each post, he pairs a picture of a pastor posted on social media with a screenshot of the price of the shoes he is wearing. Some of the price tags have topped out over $1,000, igniting a debate about pastors’ pay and whether a pastor should dress in clothes members could never afford. The account created a stir, amassing over 80,000 followers in the first two weeks and has been featured in stories on Buzzfeed and Fashionista. Tyler told Fashionista about the origin of the account. He explained that he is an evangelical Christian whose wife works for a church and that he has also been “really into buying and reselling sneakers.” He said he was looking for a song by Elevation Worship one Sunday and a noticed the lead singer was wearing a pair of Yeezy 750s, which go for around $800 on resell sites. This led him to look at photos of Elevation’s pastor, Steven Furtick. He found a picture of Furtick wearing a rare pair of Jordans that resell for $900. 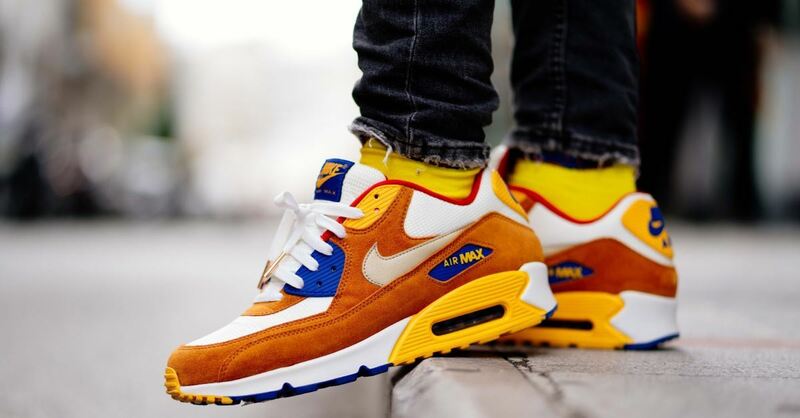 Then he looked up other influential pastors and noticing that they were wearing high-end clothing and “the highest resell kicks in the game.” He made videos about the issue for his personal Instagram and received positive feedback from friends, so he created the account. Some pastors featured on the account have tried to defend themselves. 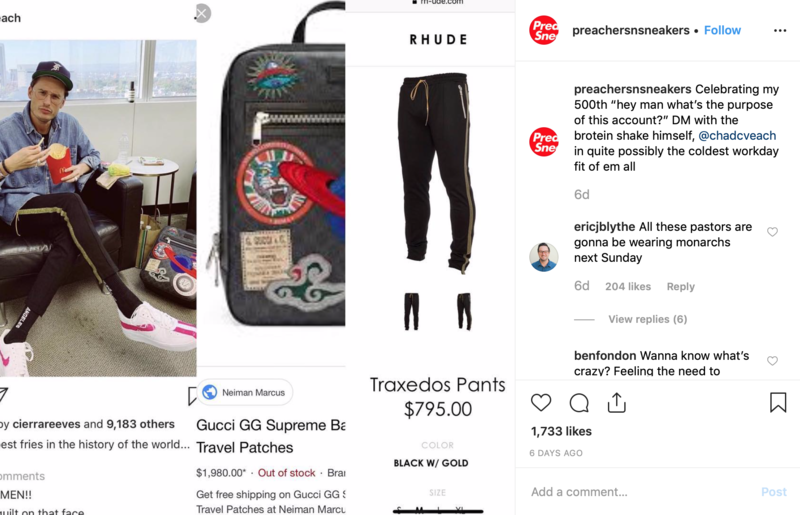 Tyler posted a picture of Chad Veach, pastor of Zoe Church in Los Angeles wearing $795 pants and a nearly $2,000 Gucci backpack. As of this writing, the account has grown to almost 85,000 followers.